The LSU School of Art offers Bachelor of Fine Arts and Master of Fine Arts programs with concentrations in digital art, graphic design, and studio art, and a Master of Arts in Art History. Tracks in studio art include the areas of ceramics, painting & drawing, photography, printmaking, and sculpture. The art history program at LSU is interdepartmental: the undergraduate program in liberal arts lives within the College of Humanities & Social Sciences, and the graduate program and art history faculty live within the College of Art & Design’s School of Art. The College of Art & Design has several minors available to all university students. School of Art minors include art history, ceramics, digital media arts, fine art, painting and drawing, photography, printmaking, and sculpture. The school also offers a visual communication minor that is open only to students enrolled in the School of Mass Communication. 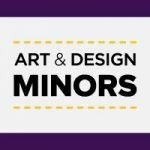 View the LSU General Catalog to see the requirements for each minor and to view all university minors. It has always been a function of art to provide us with visions that illuminate the past and inspire our futures. Artists show us the world as we’ve not seen it before, making the familiar strange, distinguishing that which was undifferentiated, illuminating the dark, and re-enchanting that which has lost meaning. MFA Ceramics is Kilning It! The School of Art is among the largest and most comprehensive art schools in the region. Our faculty members are accomplished working professionals—artists, designers, and scholars—who represent a diverse range of approaches and areas of expertise. Yet, they share a commitment to developing the vision and understanding that their students will need to succeed in a world of accelerating cultural change and technological innovation. Assistant Professor Hye Yeon Nam is a digital media artist whose interactive installations, performance videos, speculative designs, and experimental games have been exhibited internationally. Professor Kelli Scott Kelley’s work is primarily composed of mixed-media narrative paintings, drawings, and objects. Her exhibition Accalia and the Swamp Monster debuted at the LSU Museum of Art and LSU Press published Kelley’s book of the same name. A specialist in modernism, Professor Darius Spieth focuses his scholarship on the interrelationships among art, intellectual history, and economics. Revolutionary Paris and the Market for Netherlandish Art (Brill, 2017) is his most recent publication. Students in our programs learn to work independently as well as collaboratively, and they develop a vocabulary with which to critique and discuss their own work and that of their peers. They learn how to be critical thinkers, creative problem solvers, and well-rounded communicators. Through coursework in the studio art and design disciplines, art history and contemporary art theory, as well as the liberal arts and sciences, students foster the skills, understanding, and philosophical frameworks necessary to make their art and design practices relevant to historical and contemporary issues. From this artistic, technical, and conceptual base, students will confidently pursue further study in graduate school or launch careers as independent studio artists or professional practitioners in fields ranging from film and video to computer graphics, game design, web and interactive design, typography, print and editorial design, information design, digital imaging, packaging, and environmental design, identity design and branding. Our students are equipped to be creatively inspired and thoughtfully analytical in addressing issues of value and meaning in their work and their lives.